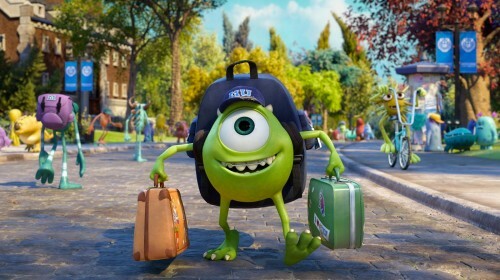 The Monsters University will be officially released on October 29th, 2013, but you can pre-order it today via Amazon. 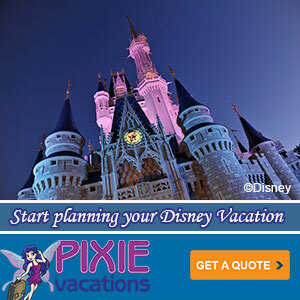 Your purchase through that link supports The Disney Blog and is very appreciated. 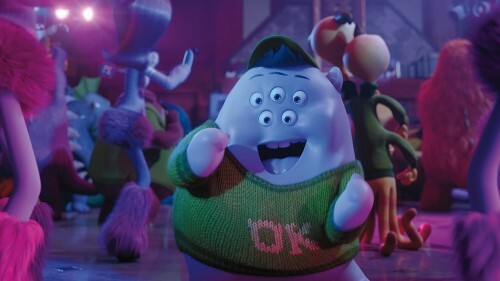 A113 – The School of Scaring classroom number is A113, which refers to the former classroom of John Lasseter, Brad Bird, Pete Docter and Andrew Stanton at CalArts. The number makes an appearance in every Pixar feature film. Pizza Planet – The Pizza Planet truck is in the driveway of the JOX fraternity house when Mike is riding Archie the Scare Pig down Greek Row. The Pizza Planet truck, which first made an appearance in “Toy Story,” has made a cameo in nearly every Pixar feature film. Prior to Monsters University most audiences will be lucky enough to see the newest short from Pixar – The Blue Umbrella. It’s the least Pixar short of the series in terms of its photo-realistic design, but also somehow completely Pixar too. I don’t want to give anything away, but there is a definite connection between the world of the Umbrellas and Monstropolis. 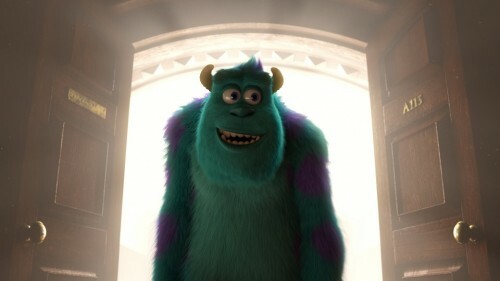 It’s been 12 years since Monsters, Inc first made audiences fall in love with a short one-eyed monster and his giant fluffy blue friend. The kids that saw that film in theaters then have since grown up and are ready to introduce another generation of kids to the world of Monstropolis. But rather than making a sequel, Pixar decided to set the next film in the past. “One of the challenges with a prequel is that by definition, everyone knows how the story ends. So it can be difficult to uncover the drama because we already know everything’s going to work out. It’s hard to define those stakes. You have to learn something new about the characters—which we ultimately do in ‘MU.’,” said director Dan Scanlon.